The Massachusetts workers' compensation system was designed to compensate employees who suffer job-related injuries. 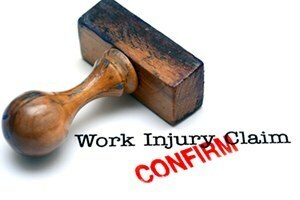 Employers are required to obtain workers' compensation insurance for their employees in case of an accident or illness. If your claim is denied, you should receive an Insurer's Notification of Denial by certified mail. This will explain why your claim was denied. In some cases, the claim will be partially allowed and partially denied. If you need more benefits than what the insurer has allowed, you will need to appeal the denial. Appealing denials of claims can be challenging. Injured employees in the Boston area can enlist an experienced workers' compensation attorney at Pulgini & Norton to guide them through this complex process. When you appeal a denial of a claim, you will need to gather and submit all the medical evidence that establishes your job-related injuries, including your medical chart and medical bills. You will need to send both a completed Form 110 and the gathered evidence to the Department of Industrial Accidents (DIA), which administers the workers' compensation law in Massachusetts. There are five levels of appeal: conciliation, conference, hearing, Review Board, and the Court of Appeals. The first level of the appeal is a conciliation, which is an informal proceeding with a nonbinding outcome. At a conciliation, a DIA conciliator leads a meeting with you, the insurer, and your attorneys to talk about the resolution of your case. You should have collected all your evidence for the conciliation. If you cannot reach resolution, you will move on to the conference level. The conference is presided over by an administrative judge, but it is also considered informal. The judge reviews the evidence without hearing from witnesses. You will need to show that your injuries are workplace-related, as well as their extent and that you are unable to work. You will also need to show how many days of lost wages you have. Either party can appeal the judge's conference order issuing a determination about your right to benefits. The next level is a formal hearing, involving the presentation of evidence by both sides. At the hearing, the administrative judge will hear testimony from witnesses, such as you, your doctors, and your coworkers. Cross-examination is allowed. The final decision can appealed to the Reviewing Board within 30 days. The Review Board is made up of three administrative law judges. No new evidence can be presented to it. The Review Board will only change the judge's decision if the decision violated the law, was not factually justified, or fell outside the judge's legal authority. The Review Board's written decision can be appealed to the Massachusetts Court of Appeals. Appealing denials of workers' compensation claims can be challenging and may take a long period of time. If your claim has been denied after an accident in Boston, you should consult a work injury lawyer for advice and representation. At Pulgini & Norton, we also have assisted employees from Medford, Brookline, and Lowell, among many other Massachusetts communities. Call us at 781-843-2200 or contact us via our online form for a consultation.